Round 4 of the Hero I-League 2016-17 saw Kolkata clubs surge ahead of Bengaluru FC in the title race. 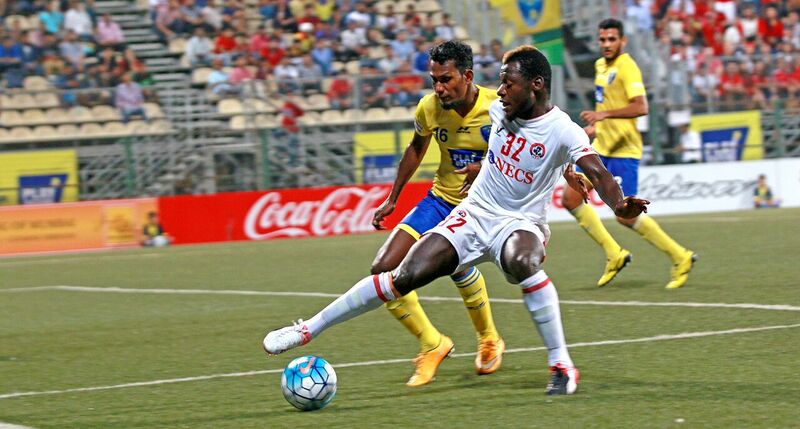 Mohun Bagan visited Chennai City FC, who were looking to create upset against the Mariners but it was not to be. Though they did give Mohun Bagan a scare but timely goals from Jeje Lalpekhlua and Sony Norde ensured full three points for Sanjay Sen's men. 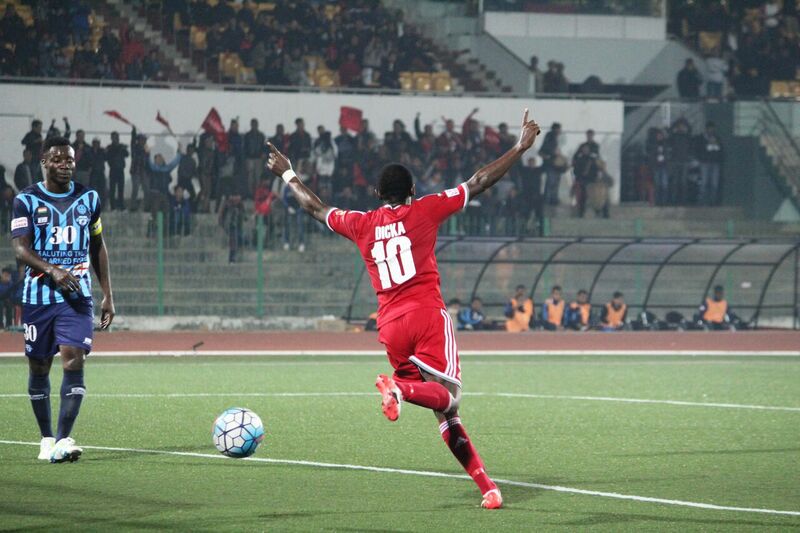 Shillong Lajong FC hosted Minerva Punjab FC in a bid to secure their first points against the debutants. The home game could not have come at a better time for Thangboi Singto's side who came second best on their first three matches of the season- all away games. The reds showed their mettle against Minerva as they raced to a two goal lead before the half time whistle with goals from Rupert Nongrum and Dipanda. Minerva skipper Loveday Okechukwu scored an absolute belter in the dying moments of the match but the scoreline remained in Lajon'g favor. Churchill Brothers registered their first points as they scored late to secure a 1-1 draw against DSK Shivajians FC. Shivajians took the lead in the 21st minute through Korean Kim Song Yong who latched onto a miscued backpass from a Churchill player and evaded his marker to slot home. Anthony Wolfe failed to equalize from the spot in the 76th minute after Halicharan Narzary tripped Angelo Colaco. Ten minutes later, Adil Khan rescued a point for the Goan side when his header went in from Anthony D'Souza's corner. 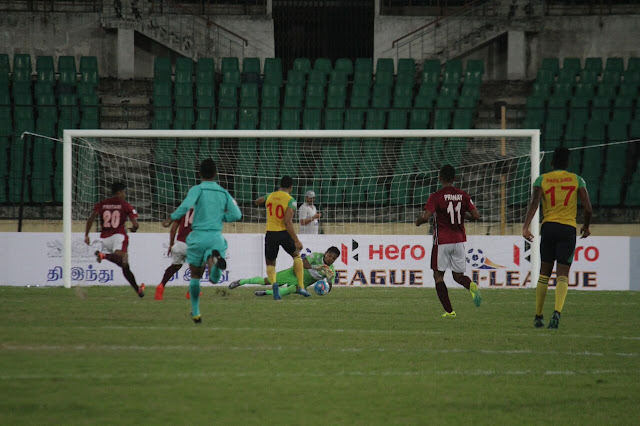 East Bengal halted Albert Roca's perfect start with a solid 2-1 victory at home. CK Vineeth continued his goal scoring form when he silenced the 15000 fans at the stadium, placing the ball past a hapless TP Rahnesh after some smart work from Eugeneson Lyngdoh down the left hand side. Few minutes alter though it was the other end of the field where the celebrations took place. Trevor Morgan's training ground drill left Bengaluru FC clueless as Ivan Bukenya applied the finishing touch from Lalrindika Ralte's drilled cross. As the game progressed Bengaluru FC's defence crumbled with Wills Plaza and Nikhil Poojari's pace proving too much for Juanan and John Johnson. With Willis Plaza squandered numerous chances, it was former Bengaluru FC boy Robin Singh who found the winner after a miscued header found the striker all alone and he made no mistake. 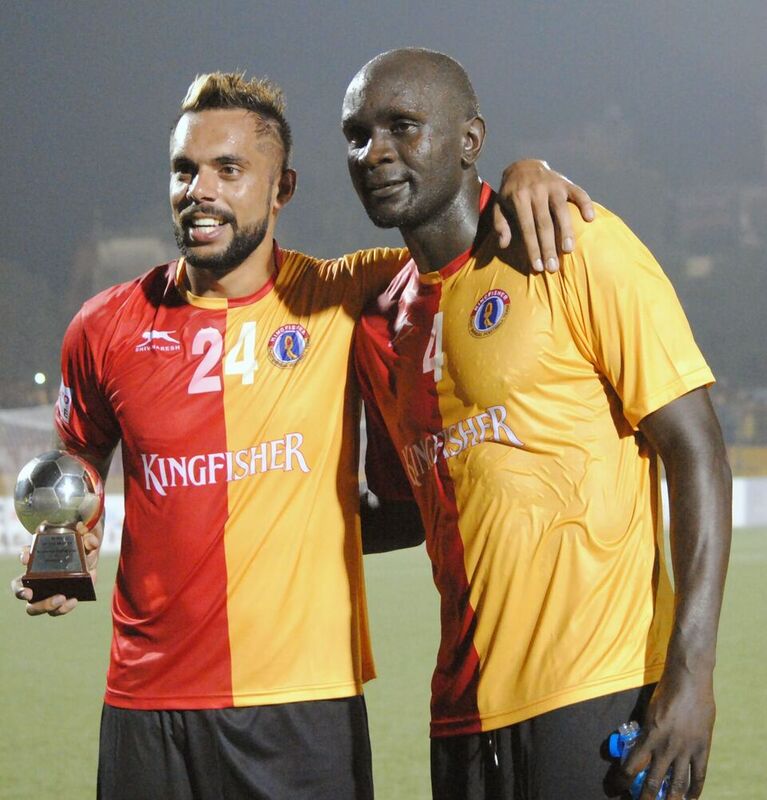 With the victory East Bengal jumped to second spot while Bengaluru FC moving down to third. Khalid Jamil's comeback match against his former club saw him break the Mumbai fan's heart. The first real opportunity of the match came to Ivorian forward Kamo whose shot went over the bar after being fed by Jayesh Rane. The match did no witless too many open chances after that. Jayesh Rane, a former Mumbai FC player himself was key to Aizawl FC's midfield as he controlled the tempo and dictated terms in the midfield. The crucial goal came in the 80th minute through the hard working Syrian Mahmoud Al-Amna who found the back of the net after collecting a pass from Lalruatthara. Mumbai created a few chances to salvage atleast a draw but were not clinical enough.